Is your little one curious about the Tooth Fairy and what happens to their teeth once they've fallen out? This enchanting tale follows a sweet little tooth fairy, who takes us on a journey to Tooth Fairy Castle - where all shiny, white baby teeth are used to build the castle and make stars in the sky! 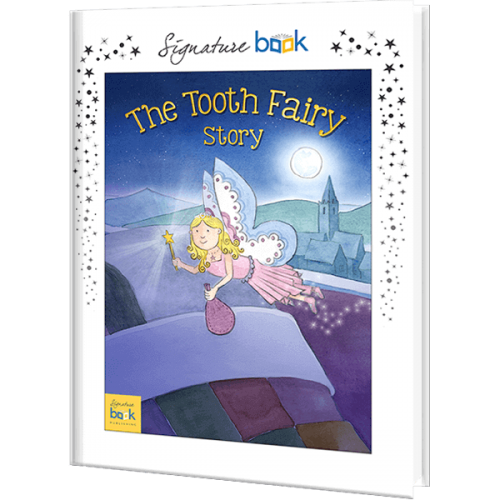 Written in rhyme and filled with pretty illustrations, your child will love spotting their Name on every page in their very own Personalized Tooth Fairy Book. Imaginative and fun to read, this wonderful Tooth Fairy Story Book will teach your child about the importance of looking after their teeth and is sure to become a favorite bedtime story.